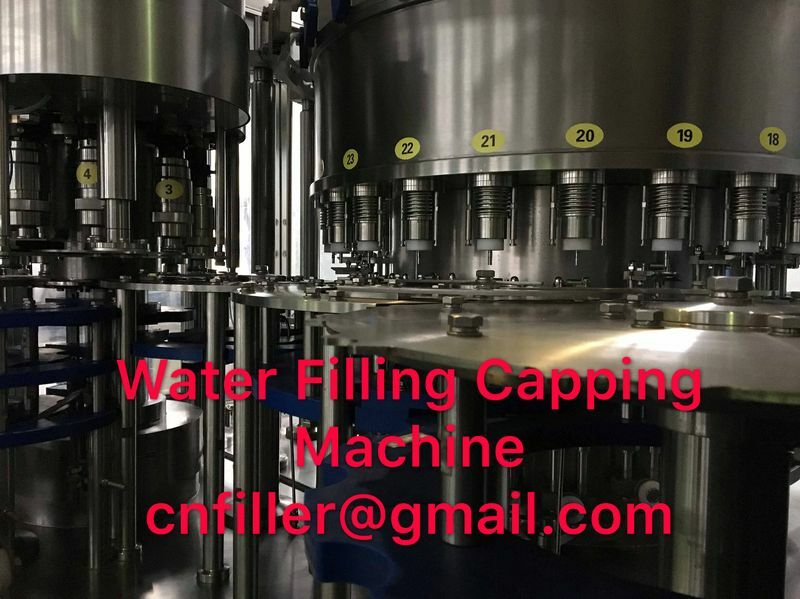 The machine achieves the complete capping process by the sequence from cap sorting → cap distribution → capping. Initially the cap inside the hopper, from the disc gear ring via small gear reducer motor rotates the gear ring disk. The cap is by the clearance between gear top and bottom, to orientate the cap to the certain direction, and through cap guide slide to the pick up distributor loading disk, then via star wheel to separate the same distance. 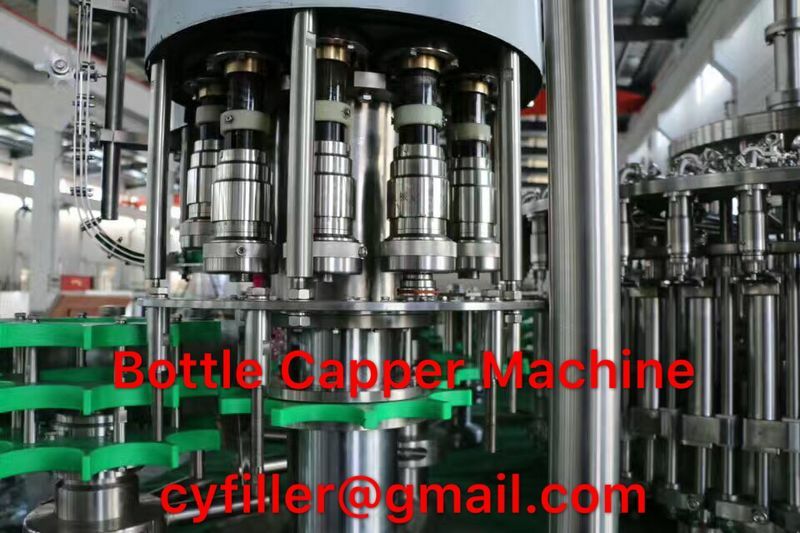 At this time, cap pick up distributor is rotating by the spindle, let the cap step by step into the center of capping head, then the capping head goes down to place the cap into the cap hat. The spindle drives the capper, there are some slide seat rod ring arrange on the capping. Capping head that is under the slide seat rod, for the pick up distributor with same distance cap via cap hat to put the cap inside. Small gear on the top of slide seat rod contacts firmly with the fixed ring inner gear disk via capper turning let the slide seat rod rotation. There is one axial cam seat via the cam channel stroke, let the slide seat rod to do the round up and down motion. 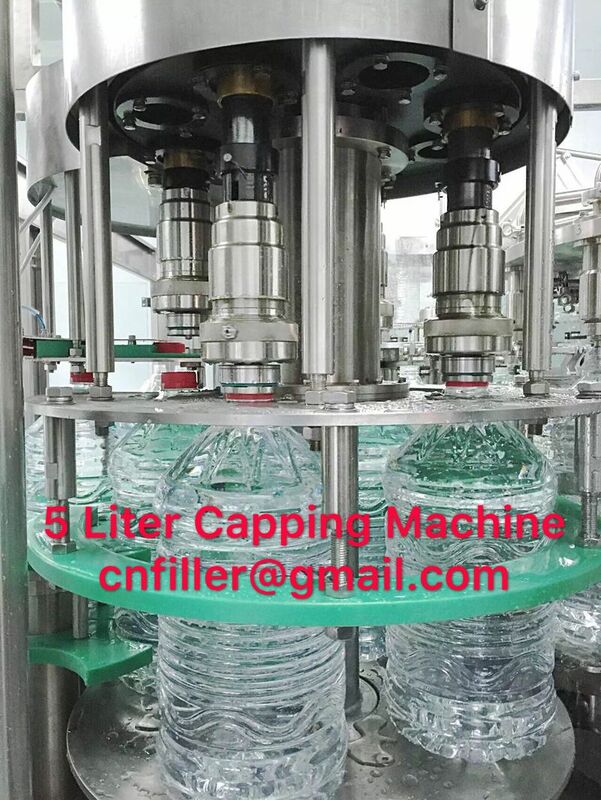 When round motion is in upward, slide seat will reject the missing cap to the bottle mouth, the cap hat receives one more new cap. When round motion is in downward, the capping head contacts with the bottle mouth. At this time, the slide seat rod turns for the cap into the bottle mouth to finish the capping process.